Some people worry that hosting a retreat in the winter means that you will be stuck inside for days on end. At Countryside Camp, we don’t believe this has to be the case. When you host a retreat at our camp, your options for outdoor activities are nearly endless. With years of experience facilitating retreats, we’ve put together a list of some of our most popular outdoor winter activities to enhance your retreat. After a slow start to the season, we’re happy to announce that we finally have enough snow to build snow sculptures! In past years, individuals, families, and groups have had a blast building larger than life sculptures right here on the property. If you want to take your snow sculpture to the next level, consider making your own snow paint with water and food colouring so you can add some colour to your creations! Hosting an outdoor scavenger hunt is perfect for both large and small groups. You can make a list of items for individuals or teams to find, with the option of hiding items yourself or focusing on things found in nature. If you want to add a neat element to this, try installing GPS tracking to the items you hide and give each team a hand-held GPS tracker to help with the search. This requires a bit more work, but we promise it’s worth it! This outdoor activity is a classic for a reason! 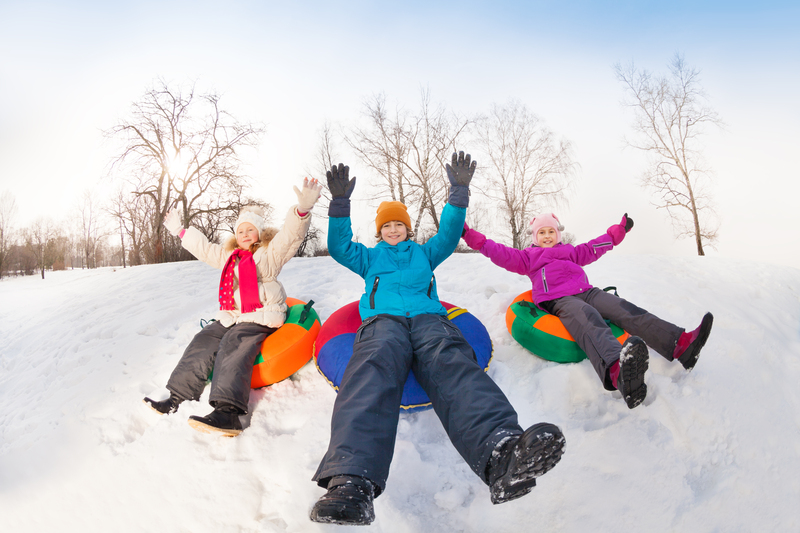 We have a few hills at our camp that are perfect for an afternoon of tobogganing. Bring your own toboggans or challenge your attendees to create their own out of supplies brought from home. If you decide to build your own, you could have the teams race to see which homemade sled can make it the furthest. What better way to see the countryside camp property than by a self-guided cross-country ski tour! Not only is this a great form of exercise, it can be a lifelong hobby enjoyed the young and old alike. If your attendees are already comfortable cross-country skiing, try adding a new challenge to the task, such as a cross-country relay race. Unfortunately, we don’t have cross-country skis to rent onsite, but you can bring your own cross-country skis or see about renting them from somewhere in your community. If you’re looking for a more leisurely way to take in the sites at Countryside Camp, why not try snowshoeing! While it may look tricky, snowshoeing is as easy as normal hiking, just with different “shoes” on your feet. You can also use snowshoes when doing other activities, such as scavenger hunts, if your attendees will be going into areas of deep snow. Think that all of these ideas sound pretty great? Why not combine them all and host your very own retreat winter Olympics! Set up different activity stations around the camp and have teams work through each of them, awarding points for each team’s efforts. At the end of the day, you can hold your very own closing ceremony where medals are awarded to the winning teams. You can also give out other prizes to teams, such as best team name, most creative outfits, or anything else. We hope that you are able to use one or more of these activities to enhance your next retreat. 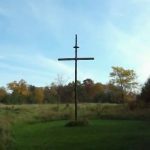 If you’re interested in learning more about hosting a retreat at our Ontario Christian Camp, contact our office. Our staff is here to help make it your most successful Christian retreat yet!